4K UHD (3840 x 2160) resolution displays sharper images to improve in-game vision. Support for HDR10 content and a 95% NTSC wide color gamut enhances image detail and display more realistic colors for an improved PC and console gaming experience. A 60Hz refresh rate and AMD FreeSync Technology alleviates immersion breaking screen tearing and stuttering. 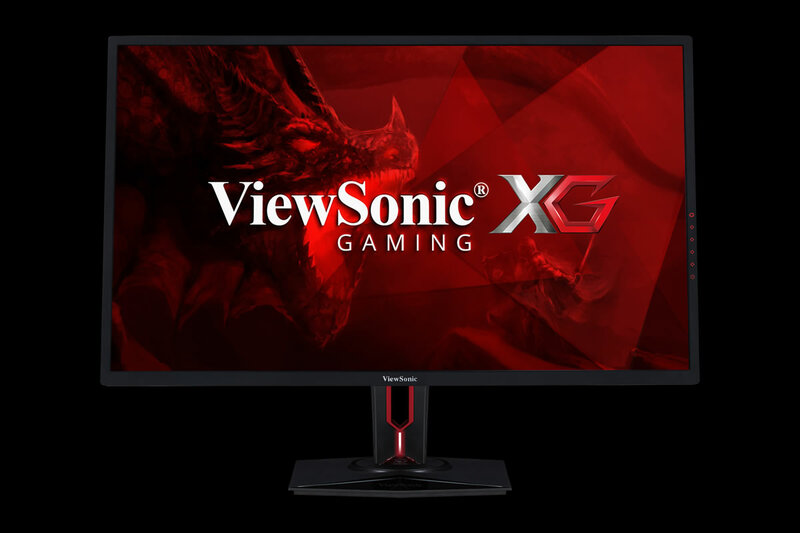 Taipei, TW (December 1, 2017) – ViewSonic XG Gaming announces XG3220, a 32-inch 4K UHD (3840 x 2160) resolution gaming monitor that delivers an incredibly visually stimulating gaming experience through the combination of HDR support, a wide color gamut, and an 60Hz refresh rate performance with AMD FreeSync. XG3220 follows the hero styling seen on other ViewSonic gaming monitors such as XG2703-GS and is designed for both PC and console gaming enthusiasts who want to push their visual experience to the limits with high caliber detail and color. XG3220 leverages 4K UHD (3840 x 2160) resolution to improve in-game vision by delivering sharp images and displaying even the finest of details in perfect clarity. The monitor’s high resolution is complimented by HDR (High Dynamic Range) content support for HDR games on both PC and console games which maximizing the information displayed in both the brighter and darker parts of a scene for an unmatchable visual experience. The addition of a wide 95% NTSC color gamut on the monitor’s 5ms VA panel allows gamers to push bolder, more accurate color than traditional gaming monitors for further enhancing in-game immersion. In order to maintain a high quality gaming experience, XG3220 is equipped with AMD FreeSync which allows AMD graphics card users to synchronize the monitor’s refresh rate with the frames output by the game to eliminate immersion braking issues faced on traditional monitors such as stutter, lag, and tearing. XG3220 achieves a refresh rate of 60Hz which aligns perfectly with PS4 Pro and Xbox One X, which are capped to a maximum of 60Hz. Furthermore, competitive console gamers will enjoy the benefits of having a faster input response and lower pixel to pixel response time than when gaming on a T.V., resulting in a significant competitive advantage. For further news and information about ViewSonic XG Gaming, visit ViewSonic.com and follow on Facebook and Twitter.